Is TRUE’s last pair of spiked shoes (perhaps ever?) able to overcome some of the shortfalls of the in-between-years? Since they first made their debut in 2010, I have been a huge fan of TRUE shoes. I owned a couple of pairs of the first version of the TRUE tours, the original Stealths, the updated Tours, a pair of Protos, two pairs of the Phoenix, the Classix, the TRUE Motion, and, my favorite, two pairs of the Sensei. With the exception of the TRUE Motion on that list, you’ll notice that all of the pairs that I owned were older models. Part of that, of course, is that I had plenty of golf shoes and just didn’t need a new pair. That being said, there hasn’t been anything from TRUE as of late that really made me want to go out and get a new pair. When the opportunity came up to review the TRUE Elements Pro, I jumped at it to see if they were as good as the older TRUEs that I loved or if, like the TRUE Motions did, would disappoint me. TRUE Linkswear returns to their roots with the release of the Outsider and the Original. In this review, I take a look at the Outsider line and see just how full circle the company has come after hitting it into the tall grass for a few years. A few friends who have seen my garage will jokingly call me Imelda Marcos. You see, I’ve got about 30 pair of TRUE Linkswear shoes. Some date back to the original Tours (reviewed here in 2010), while others are of a newer vintage. Thing is… the newer models are much newer looking than they should be, and the older models are much more well worn. You see, while I loved the original TRUE Tours, and adored the Sensei sneaker-style model, and thought the Stealths were a very good shoe, several of the models that followed lacked the characteristics of TRUE’s early releases. TRUE got away from what made their first shoes so great, and I didn’t wear those models as much. But that’s all changed. The company has “returned to their roots,” in their words, and released two new shoes. The Original and the Outsider harken back to the early days of TRUE – with minimalist approaches to footwear design that earned them a significant and passionate following. Has TRUE succeeded at this about face and return to the principles from the Tour and Sensei? Are the Original and Outsider true descendants of what made us “#EnjoyTheWalk” over seven years ago? Read on to find out. Nike’s new Lunar Control shoes keep you firmly planted here on earth. Though Nike’s line of golf equipment has expanded over the years to include for the most part, anything you’d ever need, they continue to stay true to their footwear roots year after year by offering everything from the radical to sporty to premier/upper echelon. They’ve established a great practice of producing shoes for just about anyone, no matter what their looking for. This year marks the initial release of the Nike Lunar Control, a shoe that, in my opinion, could easily appeal to nearly everyone, young or old, traditional or modern, those seeking comfort over anything else, as well as those concerned with appearance above all. Though this is only the first year they’ve been available, after searching the Internet a bit, it seems that they’ve already gotten quite a fan base. What makes them so great? Well, you’ll have to follow along to find out. Tifosi is one of a few brands of value brand sunglasses. Let’s check out their latest products. So, you purchased the latest high street brand golf bag, perfectly matching your brand new $800 irons. Of course you did, after all, you wouldn’t want your clubs getting all damaged in some pencil bag. You purchased the latest driver from whomever, only setting you back another $400 or so, maybe more or you got it with a custom tour shaft that is suited perfectly to Tiger Woods, or your favorite golfer, but probably not you. It even came with a magnetic head cover, “state of the art” they say, and again, you don’t want your latest investment getting damaged do you? I bet you even have a nice travel bag for those two trips a year you make to keep your clubs from getting knocked about on the plane. Ryan Moore wears ’em. Freddie arguably made shoes like this cool. Do they stand up to a test of golf? We first mentioned the TRUE Linkswear shoes in our Bag Drop article. The first and only “TRUE” shoe – the “Tour” model – was introduced back in September and has been shipping since earlier last week. I’ve had the opportunity to try out a pair of the Tour shoes (I’ll likely slip and call it the TRUE several times throughout this review, but for now the terms are almost synonymous) for the past several weeks, and though I don’t want to give away the ending, I will say this: Ryan Moore ain’t a dummy for wearin’ them. Do your forearms look like Popeye’s after a day of golf? A new glove aims to lighten your grip with special pads stitched between the fingers. How many times have you heard teaching pros say something to the effect of “grip the club like a bird: tight enough it won’t fly away, but not so tight you crush it.” Strangling the club is a common problem, and it leads to mechanical flaws, funky tempo and general stress on the hands and wrists. A new glove on the market, the LeviTee Golf Glove aims to ease your grip with technology, rather than with cute analogies about wildlife. The most comfortable shoes on the market? Perhaps. The lowest? Adidas says so. The Adidas Tour 360 is entering its fifth year and fourth version and the Tour 360 Sport its third year and second version with the new “Tour 360 4.0” and “Tour 360 4.0 Sport” models. 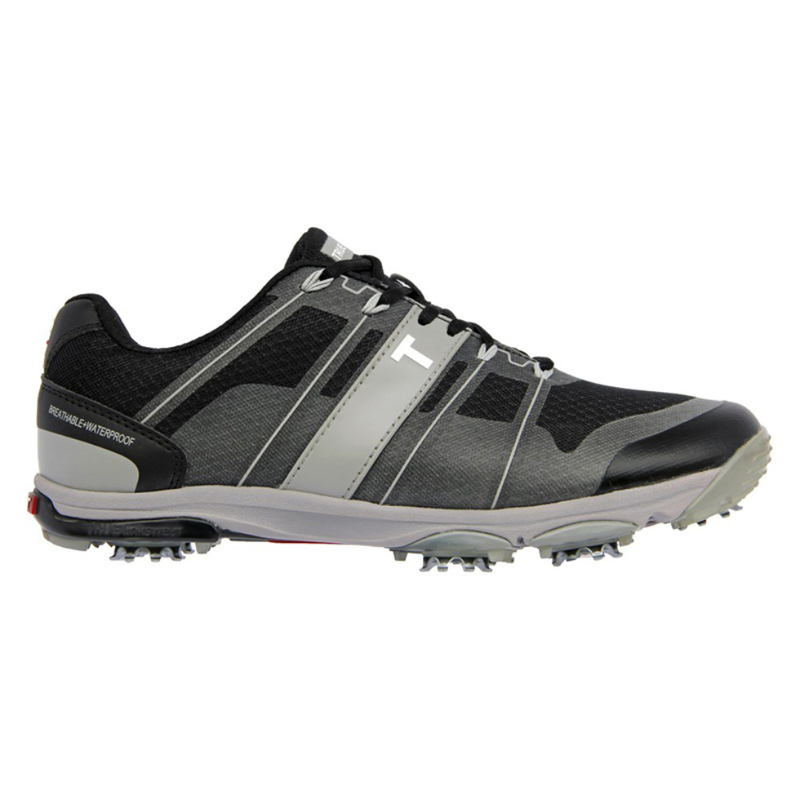 Though the styling has remained fairly similar due to the common technology of wrapping the Adidas-style triple bands around the undersole, the shoe has come a long way in five years and has claimed its spot among the leaders in the golf footwear arena. I’m a long-time FootJoy guy – shoes with “FJ” on them have always fit me well – and I gave a pair of the 360 4.0’s and the Sport models a try. Let’s see how the shoes fared. 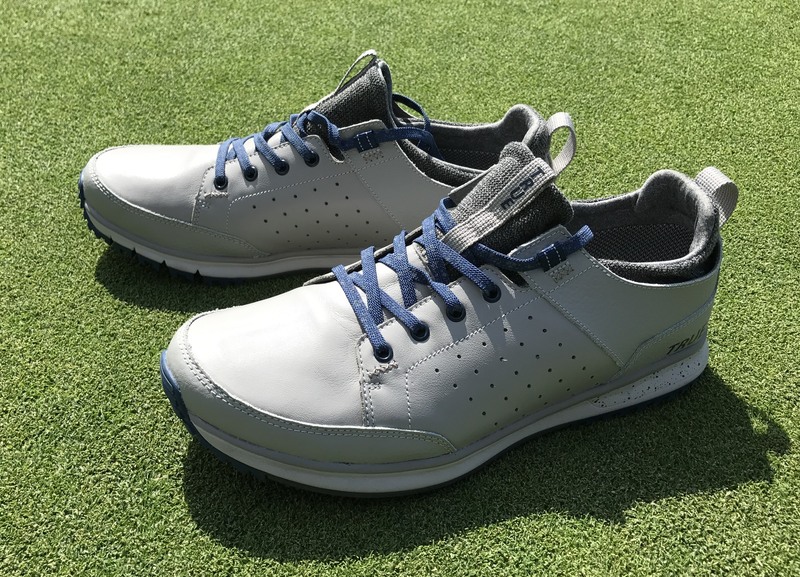 If you like golf shoes but don’t want to be limited by the offerings that are available at your local golf shop, then perhaps the seemingly millions of options that you can choose from at MyJoys is right up your alley. 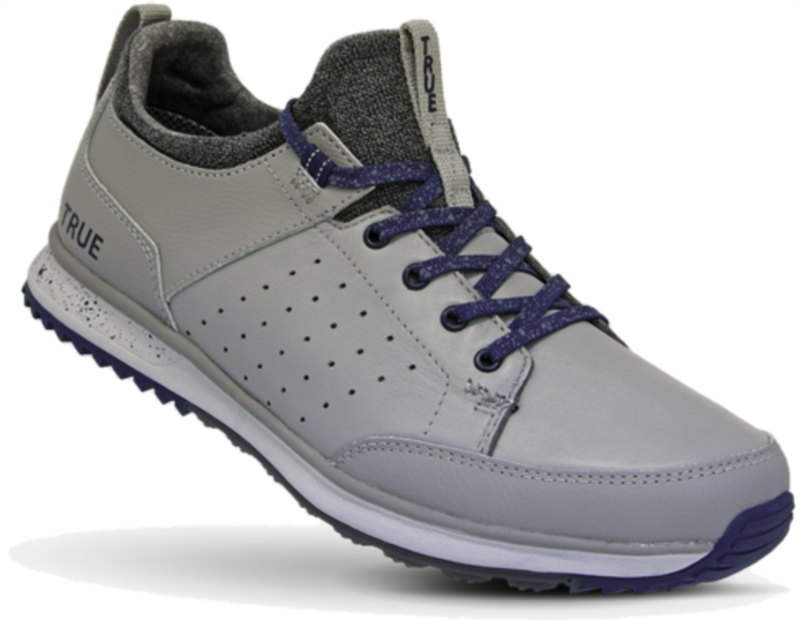 Golf shoes can be one of those accessories in which you either want to blend in or stand in out a crowd. For those who want to blend in (I am Exhibit A in that category), odds are you just find a shoe fits great and you pay little attention to the looks (okay, maybe a little just to make sure they don’t look too crazy). For those who like to stand out a bit more, FootJoy has you covered with their customization website and product line: MyJoys. I decided to try my hand at putting together some custom shoes and was interested to see how fun and painless the process was to order a pair. The easy way would have been to pick out a pair showcasing one of my favorite sports teams but that’s too easy to rather I decided to start with a blank slate and go from there to see what my inner Picasso would turn out. Tag along as we check out my order. Crocs jump feet first into the golf shoe market. I know what you are thinking: golf Crocs? When I was first introduced to the concept of a Croc golf shoe I had more than a few reservations. I have never been a big fan of Crocs. Sure, I saw more than a few people wearing them around town, and my daughter is a die-hard fan who refuses to wear anything else, but I was not sold. And, I certainly did not see them as a type of shoe that could be used for sports – especially not golf. As it is with skeptics, I was given a pair and told to try them out. Skeptical as I was I took them out on the course and ran them through the drills to see if they really could hold up to what a regular golf shoe has to endure. The results may surprise you. They certainly surprised me.